Guest and Gray is one of the fastest growing firms in North East Texas, and for good reason. The Dallas-Fort Worth Metroplex boom has been ongoing for the better part of 30 years, and the boom is now making its way south and east of the metroplex, with areas such as Forney, Terrell, Canton, Greenville, Tyler, and many other parts of east Texas seeing the effect of people either running away from the growth (and incidentally causing growth) or moving into the areas from other parts of the country. 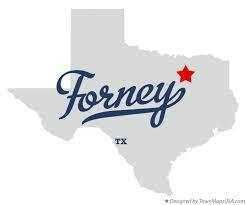 In Forney, a large percentage of the people moving in are from out of state, such as California, who are running away from the high taxes in those places. At Guest and Gray, we saw this coming years ago. Most of our attorneys and staff grew up in the east Texas area and we saw the neighborhoods going up and the roadways being built. We knew a long time ago that our areas would be next. So, we decided to commit to serving these areas and those who live here. As personal injury lawyers, we knew that the increased growth would have a negative impact on our roadways in that it would increase traffic, and as a result, increase the frequency and severity of accidents. So, we developed a practice acutely designed to handle a wide range of personal injury cases, from standard negligence cases such as car accidents, to more complex ones like 18-wheeler accidents, wrongful death claims, and dog bite cases. Our firm has helped hundreds of East Texans recover top compensation for their injuries. Wrongful Death cases are hard on everyone involved. When a tragedy occurs that results in the loss of life of a loved one, it can be hard to understand what you need to do next. Here is a simple break down of the steps that the family of a deceased individual who has been killed as a result of someone else’s negligence must take in order to secure recovery after a wrongful death occurs. Guest and Gray is the experienced legal team that you need to fight the insurance company after being injured in an 18-Wheeler accident. These are by and large, the most dangerous accidents to be involved in, and because of that, they are often to most contentious. The trucking company and their insurance company want to limit the amount of money they pay out as a result of your injuries. You need someone who is going to fight back. At Guest and Gray, we fight back. Let us be your guide through the murky waters of truck accident litigation. Our firm will take you step-by-step through the process of making insurance claims, securing evidence and witness testimony and gathering all of your medical and lost wages information. Our goal is to make this process as easy as possible for the injured party and their loved ones. If the accident resulted in loss of life, we will prepare the family members for what litigation may look like in a major truck accident case. We will help guide you through the wrongful death and survivors claims that will need to be made and when they need to be made. We will coordinate all the payments to providers and lienholders once settlement dollars are received, and make a final payment to the Estate or the family members as necessary. Forney is a town on the move. Literally. Even those of us who live in the city have to drive to get anywhere we want to go. Nothing is in walking distance. That is okay. As residents of Dallas-Fort Worth we are well accustomed to driving every where we go. Guest and Gray Law Firm, P.C. has called Forney, Texas home for decades. Scott Gray and his father, Don Gray, served Forney for decades before joining forces with Robert Guest to become Guest and Gray in 2011. Most of our staff and several of our attorneys, including the author of this article, grew up in the Forney and Kaufman county areas (the author is from Crandall. Don’t hold that against me) and we have seen the exponential growth that is happening in our city and our county. Here is looking at you Terrell and Crandall. What I have notice, just in the past year, is that if I fail to drive on one side of town for a while, when I finally do, there is a new neighborhood where a piece of land once stood. For instance, that I-20 corridor near FM 1641. There is a new neighborhood over there that I didn’t notice for about 6 months. I came back from court that way one day and BAM, there is a neighborhood off to the left. An entire neighborhood. Well, howdy new neighbors. Guest and Gray Law Firm has helped countless injured Mesquite residents receive compensation for the injuries they sustained in automobile, motorcycle and trucking accidents. We are committed to serving Mesquite and the surrounding Garland and Balch Springs area residents who have been injured through no fault of their own. Mesquite is crisscrossed by highways and interstates, with 635 and I-30 being the most well known, but I-20 and several smaller highways cross through the city. 635 is by far the busiest as it is a thoroughfare for Mesquite and surrounding areas to Dallas and beyond. It is also the connection to highway 175 and I-20 going East. Constantly, 635 is plagued by major accidents and delays. Hundreds of thousands of people travel on 635 through Mesquite every single day. As a result, the 635 and I-30 corridors have major accidents on what seems like a daily basis. Mesquite is also a major commercial trucking route. Mesquite is a highly commercially developed city with retail shopping, eating and other commerce throughout the entire city. This means that big 18-wheelers with tractor trailers are constantly flooding the highways and through streets to get to those areas. 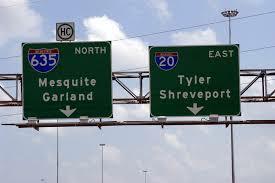 In addition to that, commercial vehicles use the highways to get in and out of Dallas and the surrounding areas. As a result, Mesquite has seen a major uptick in commercial traffic accidents over the last several years, thanks in large part to the cities renewal program and North Texas booming economy. Guest and Gray Law Firm is committed to serving Kaufman county and its residents who have been injured as a result of someone else’s negligence. We get it. Lawyers, in general, get a bad rap. We are portrayed on TV as money hungry people who will do anything to get ahead. We readily admit that there are those in this industry that are that way, especially in personal injury. But, let me ask you this: are there people like that in your industry? I bet there are. There is probably a lot of them, and I would not for one second automatically think that is what you were simply because you work in the same industry as those people. At Guest and Gray, we work hard for our clients. At Guest and Gray, our goal is to serve the people of our local community and protect them from being taken advantage of by insurance companies, hospitals and medical providers. That is our number one priority. After you have been injured in an accident, a lot of things happen: you are hurt. You need treatment, so you go to the hospital and then probably follow up treatments, etc.. That is expensive. Emergency hospital care can cost upwards of $100,000 depending on the types of treatments performed. On top of that, your car is messed up and either needs to be fixed or replaced. Your own health insurance company will pay for a lot of the medical bills, but they will want a cut out of any personal injury settlement you get. So, they will be hounding you about settling. The at-fault insurer will give you LOTS of run around about how much they are actually going to cover and what amounts they will not. You may be missing time from work. 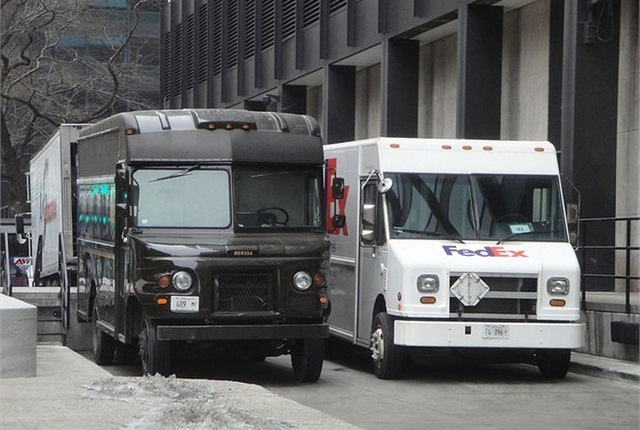 This time of year, it is not uncommon to see UPS drivers dashing from stop to stop delivering packages, like Santa trying to make it to every child before Christmas morning. Just last week I was driving on Highway 175 towards Kemp and I saw a UPS delivery truck driving faster than I was on the highway and HE WAS ON THE SERVICE ROAD. That kind of dangerous driving leads to accidents. UPS puts a lot of pressure on these drivers to deliver an almost impossible amount of packages during the Christmas season. That is why you hear about so many drivers simply dumping out packages on the side of the road because they simply couldn’t make their delivery times and were desperate. By the way, those UPS trucks are big, commercial vehicles, so if that driver doing 75+ mph on the service road had struck another vehicle at that speed, its pretty much guaranteed that there would be significant injuries, and possibly fatal. Subrogation. The word itself is strange and seems scary to the uninformed. However, it is a very common legal tool for health insurance companies to recoup monies that they have paid out when their insured has been injured due to the negligence of a third party, i.e. a car or trucking accident, dog bite, etc.. The experienced personal injury attorneys at Guest and Gray navigate the complicated field of subrogation on a daily basis in pursuing personal injury cases for our injured clients. We have represented injured parties in Forney, Rockwall, Dallas, Terrell, and all over East Texas in hundreds of personal injury cases. 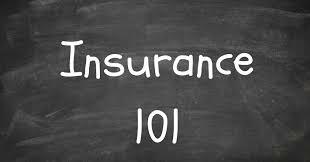 In most cases, if you are involved in an accident, you go to the hospital and you provide your health insurance information and you think that is that. However, unbeknownst to you, that gives rise to a subrogation claim by your health insurance company and they are pretty quick to pick up on the charges due to the type of treatment and billing codes that are entered by the hospital or other treatment facility. Guest and Gray prides itself in being the largest and highest rated law firm in Kaufman county. We are number one because we care about our clients and their situation. 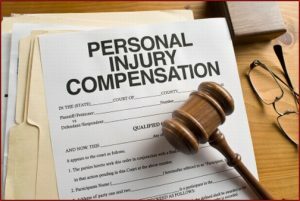 Personal injury cases are just that: personal. They happen to real people and it causes REAL problems in their lives. No accident situation can bring more drama to a family’s life than an 18-wheeler accident. These are simply the most destructive types of accidents that can occur on Kaufman county roads. Every year, Kaufman county residents and passers-through die on our local highways due to negligent truck drivers and as our roads become more congested and traveled as a result of development, the numbers will only go up. Kaufman county is one of the fastest growing counties in Texas. Growth in cities like Forney, Terrell and Crandall will lead the way over the next few years. All three of those cities are corridors in and through Kaufman county with interstate highways and state highways leading right through them. Forney and Terrell have the highly traveled highway 80 and interstate 20 passing right through them and Crandall, as sort of the gateway to East Texas has highway 175. All three cities are gearing up for exponential growth over the next few years as pastureland is converted to shopping, retail and most of all, homes. Crandall has the Wildcat Ranch Development that plans to bring nearly 3,100 unites, which would effectively more than double the population of Crandall alone. Travel anywhere in Forney and you will see new community development and shopping and retail going in, and Terrell leads the way in commercial development. The result of this population increase will be an economic boom. Increased economic out put means an increase in commercial traffic. Commercial traffic means 18-wheelers and other commercial vehicles traveling on our roadways will only increase to meet demand. At Guest and Gray, our personal injury lawyers see this as being a potential problem for our local citizenry and those who travel our major highways to get to and from home and work. The greater the number of commercial vehicles means that our current and future citizens will be at a greater risk of being injured due to negligent commercial truck drivers as they come into our area. A semi truck, without the tractor-trailer, weighs around 80 thousand pounds, without a tractor-trailer attached. In comparison, the average passenger vehicle weighs about 5,000 pounds. When the two meet at high speeds, the results can be absolutely devastating.